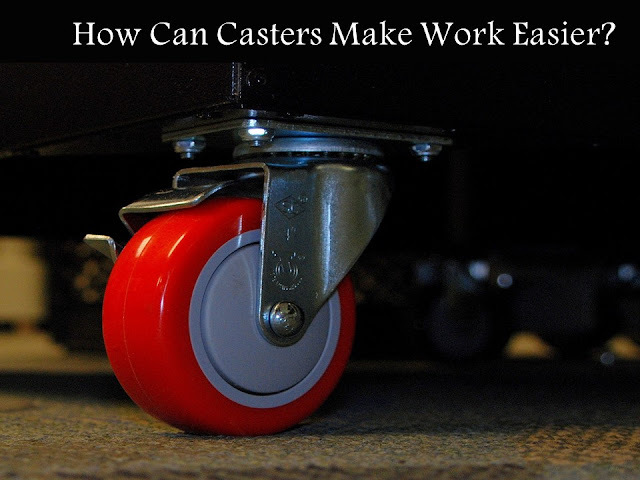 How Can Casters Make Work Easier? Home / Automobile / How Can Casters Make Work Easier? One major benefit of a technologically innovative world is convenience. It seems everything can be made easier these days. One innovation that has increased productivity and efficiency in a range of fields is the caster. A caster can be used at home to easily move furniture or at work to move industrial equipment. Colson casters are engineered and designed with quality and safety for any field. Maybe you never gave your swivel office chair a second thought. The casters on the bottom are what give it maneuverability. Casters are types of wheels that can be attached to furniture, machinery or equipment to increase their mobility. They aren't just tiny wheel-like attachments, however. They range in size and can be used for moving anything from furniture to heavy-duty aerospace equipment. These fixtures are often overlooked, but they have quite an impact of work efficiency. Casters are meticulously designed to be both durable and safe. This contributes to their incredible efficiency. For instance, they're made of layers of durable materials to avoid breaking down and to keep dirt and debris out. On the other hand, they can be soft on the outside to avoid damaging floors. One factor that makes casters so efficient is their durability. Although casters are made of various materials, they are usually made of some type of metal, like stainless steel, on the inside. Some even have zinc finishes to prevent swivel malfunctions. As mentioned in a DIY Network article, casters can be made with plastic for long-time use or hard rubber for better swivel. Casters are made for both your own safely and the safety of your flooring. As mentioned above, they can be finished with softer materials for flooring like linoleum or hardwood. Below is a list of some of the ways casters can reduce safety hazards in the workplace. · Shock absorbing casters reduce damaging noise levels. · Swivel locks and brakes reduce falls and other accidents. · Casters can be designed to reduce exertion, which can reduce workplace injuries. As many already know, casters have become quite popular in ergonomic furniture. A National Institute of Health Office Management site mentions that casters with soft wheels can be used for linoleum. This prevents scratching and promotes an easy glide. They also come with rubber locks to avoid tilting on stools. Casters are generally handy tools that make work easier. However, you should know what type of design would best accommodate your work environment. Colson casters are available for all types of jobs. Make sure you select the proper caster for the job you need it for. Some are better suited for certain environments.